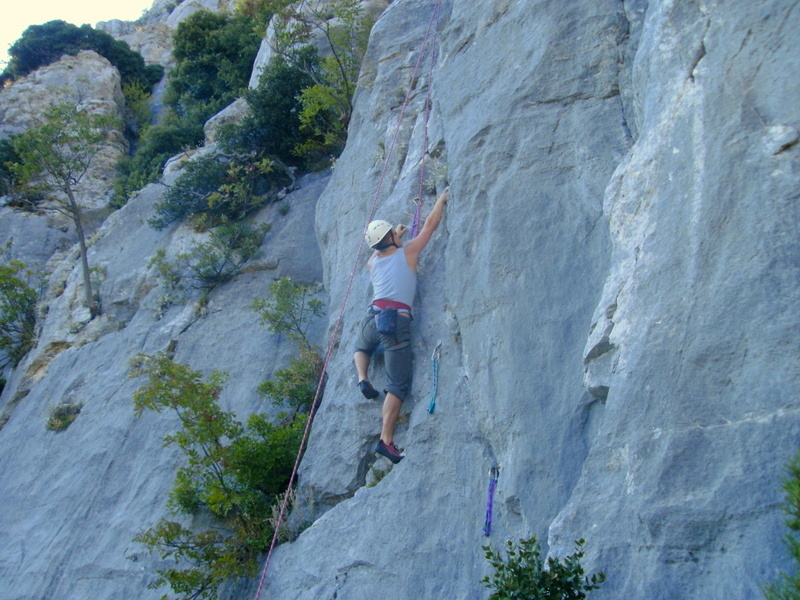 Rock climbing at Bougazi site. 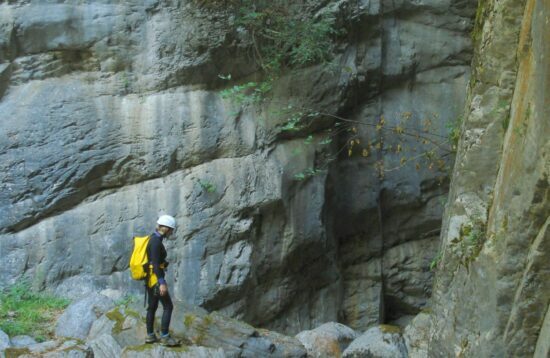 We meet at our base on Kissavos or at Arioprino location or at Spilia village. 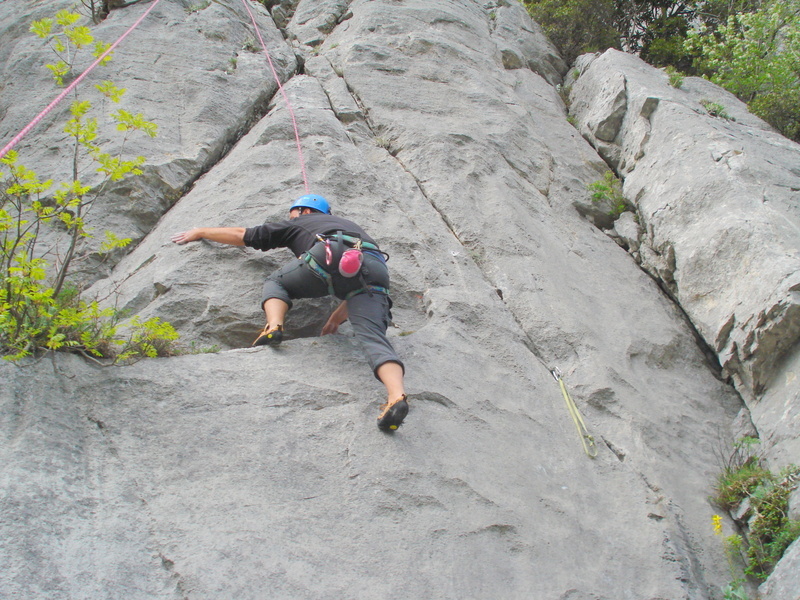 This is a very nice limestone climbing site on Mt. 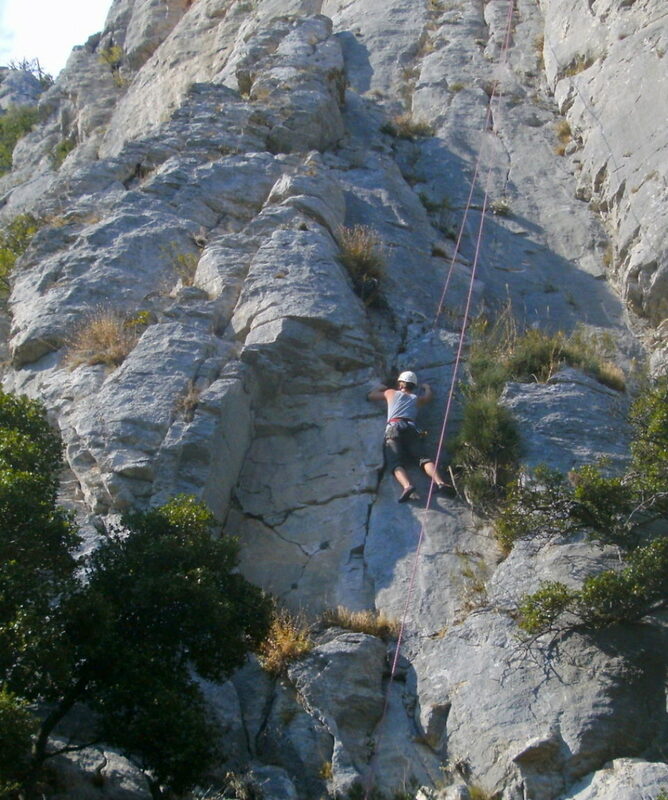 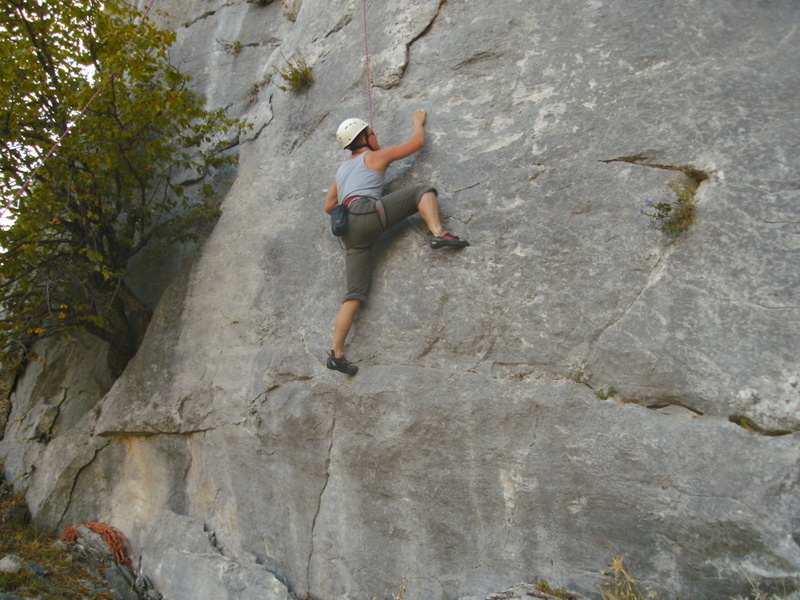 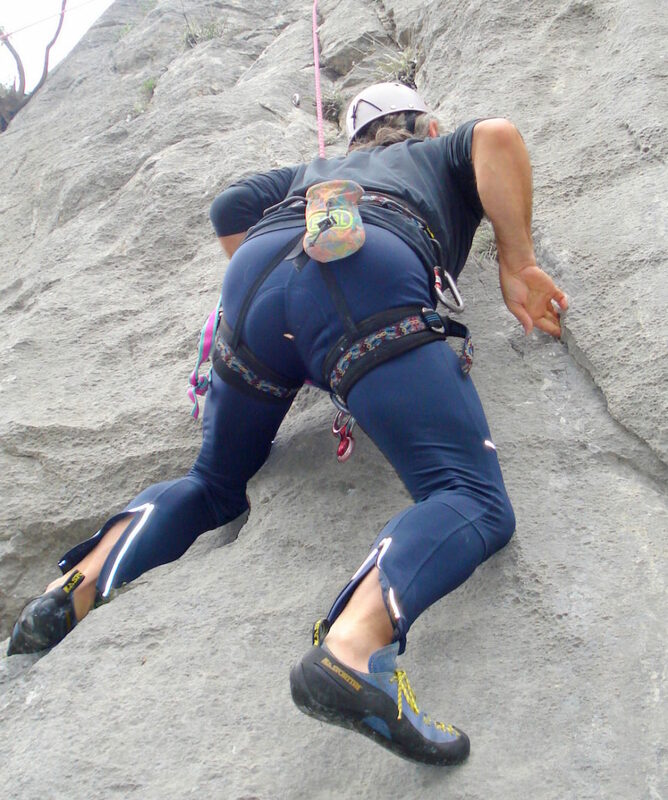 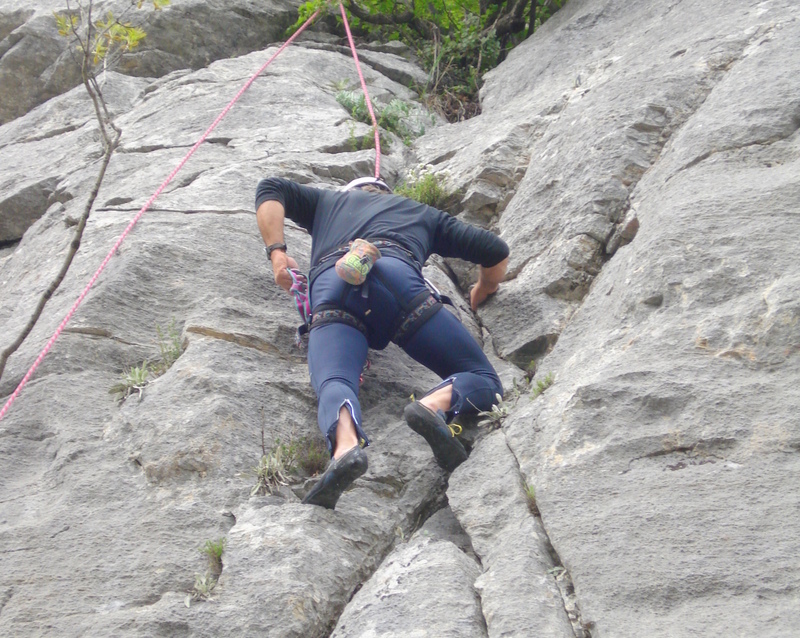 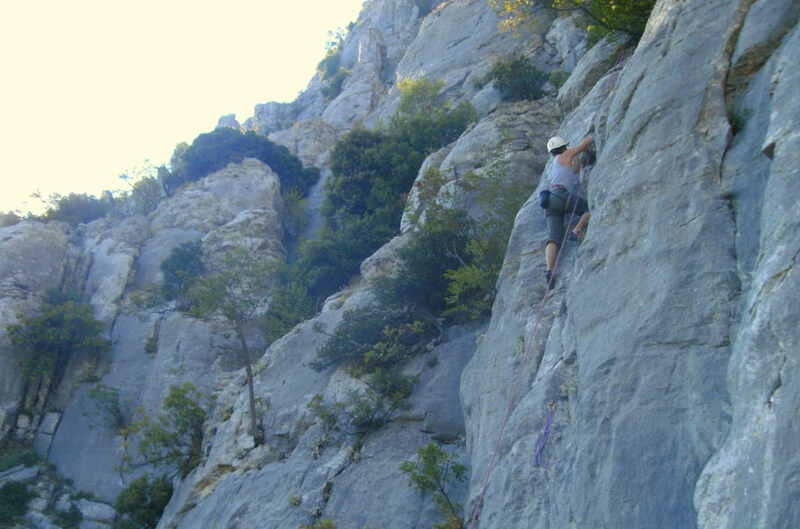 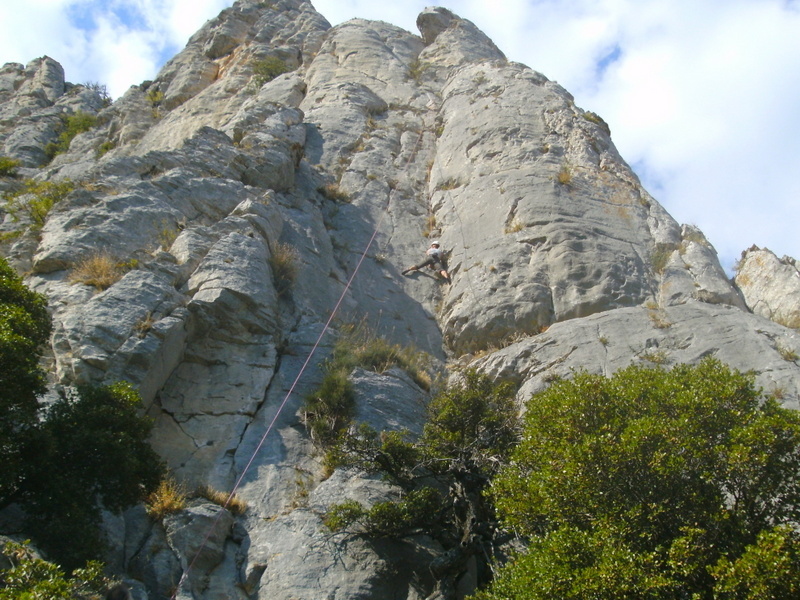 Kissavos (Ossa) with various routes for the experienced rock climber. 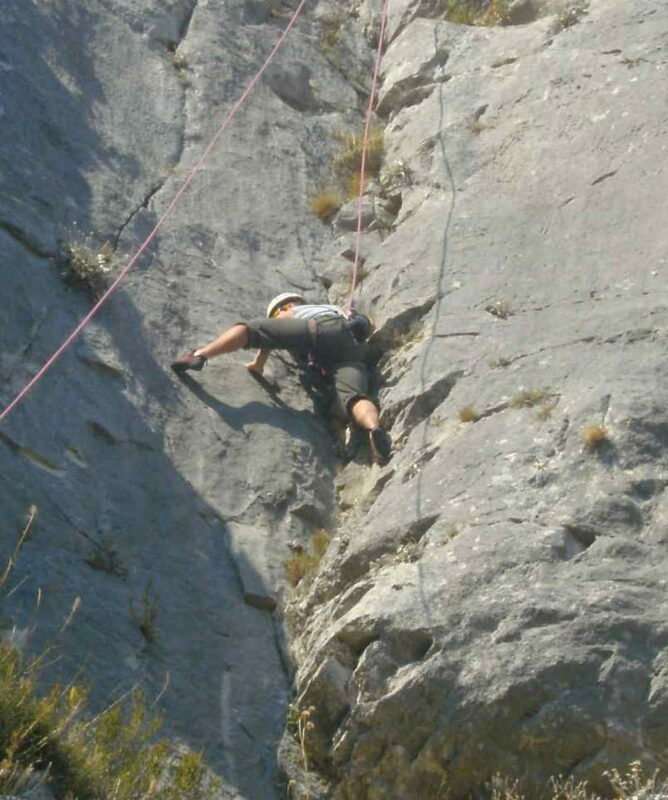 The first sections of some of these routes have been selected by us for the more keen beginners – most probably the ones who have tried it before on natural rock – to try and enjoy top-rope climbing of higher level and grade in a very beautiful natural setting with nice views. 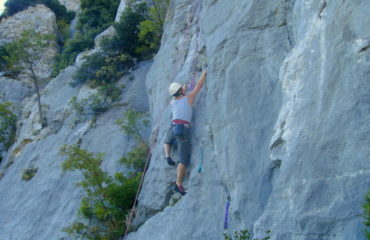 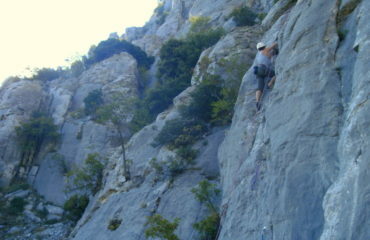 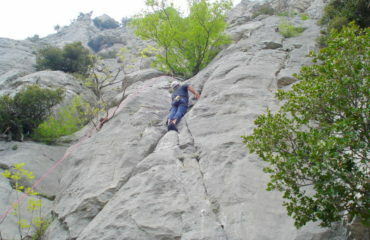 Price (beginners top rope climbing): 60€ p.p. 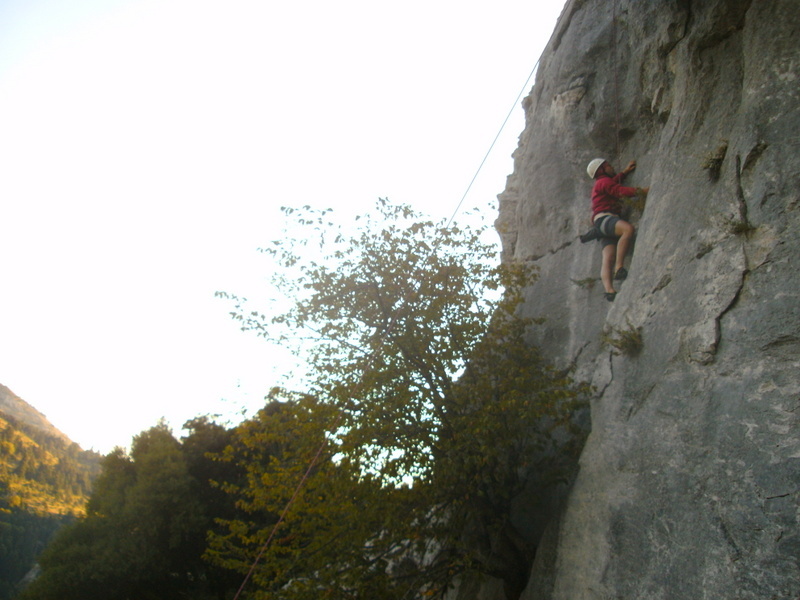 Information for the experienced climber: This is a climbing area for experienced climbers. 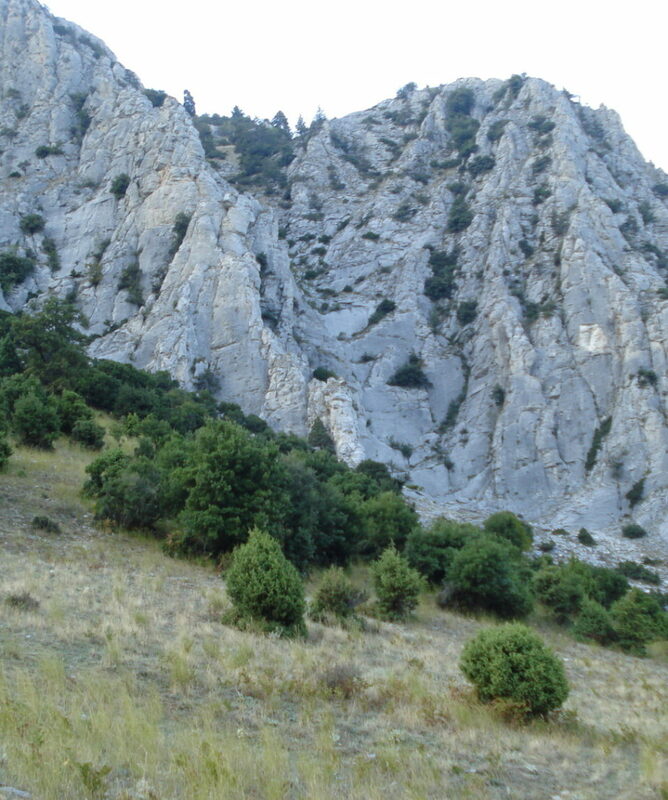 It is located in the central & north Kissavos not far from our base or the Village of Spilia, at the elevation of 800 / 900m. 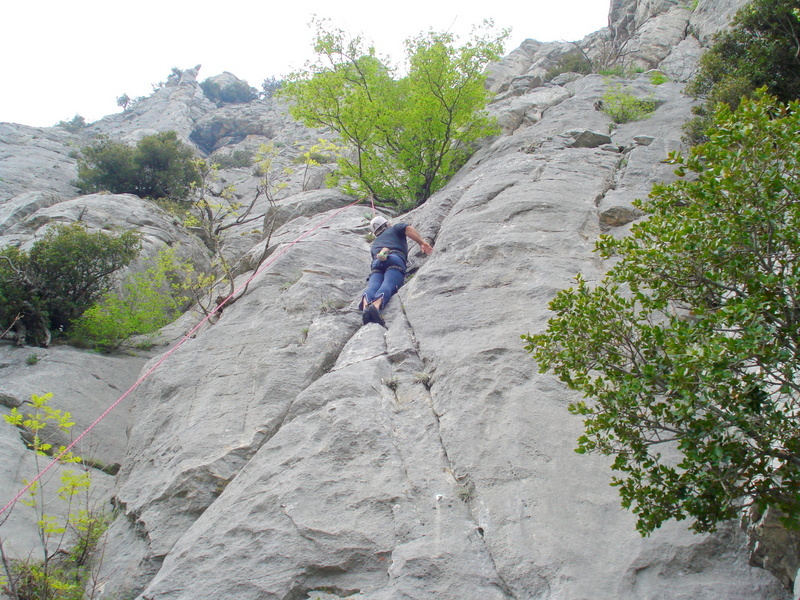 There are 17 climbing routes from 70m to 300m length and grades from IV to VII (UIAA grading). 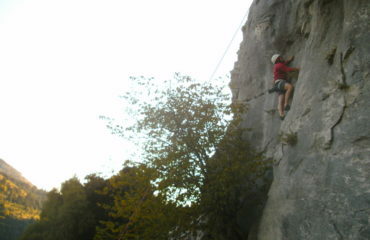 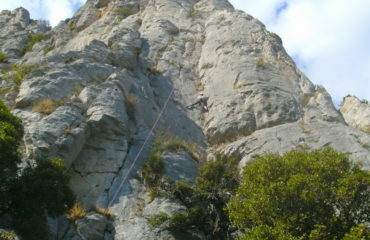 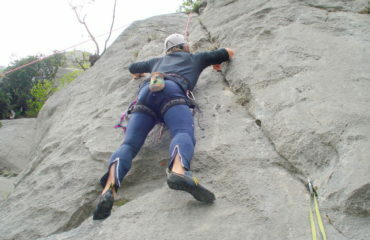 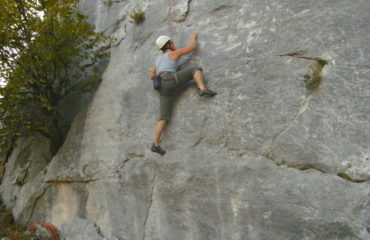 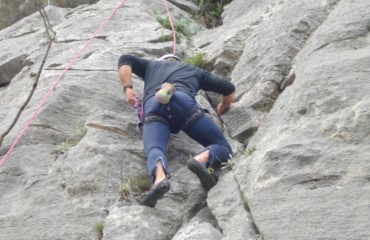 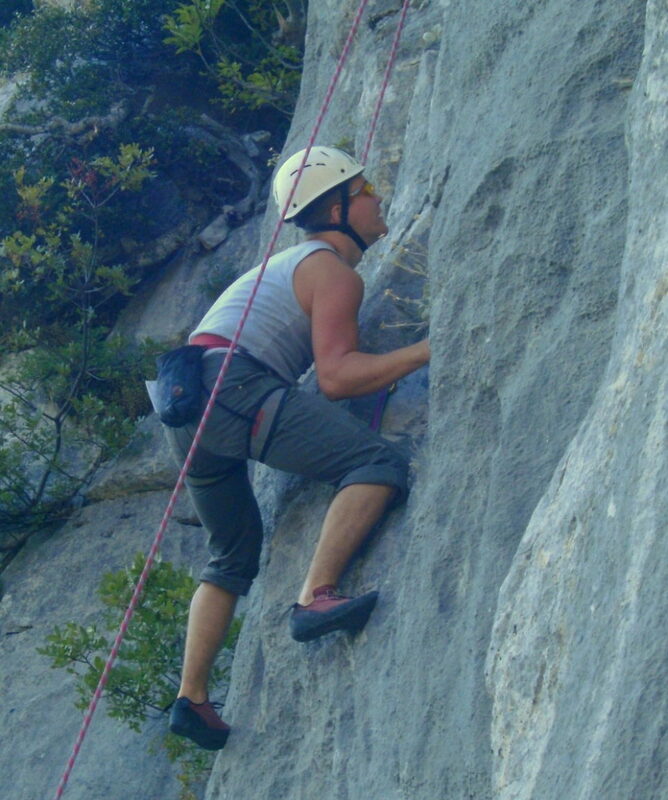 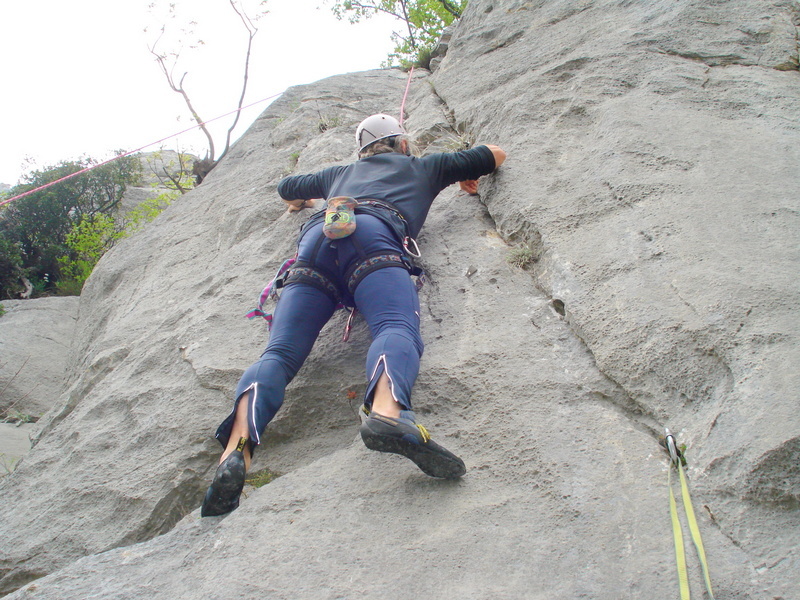 The climbing is very pleasant on good limestone. 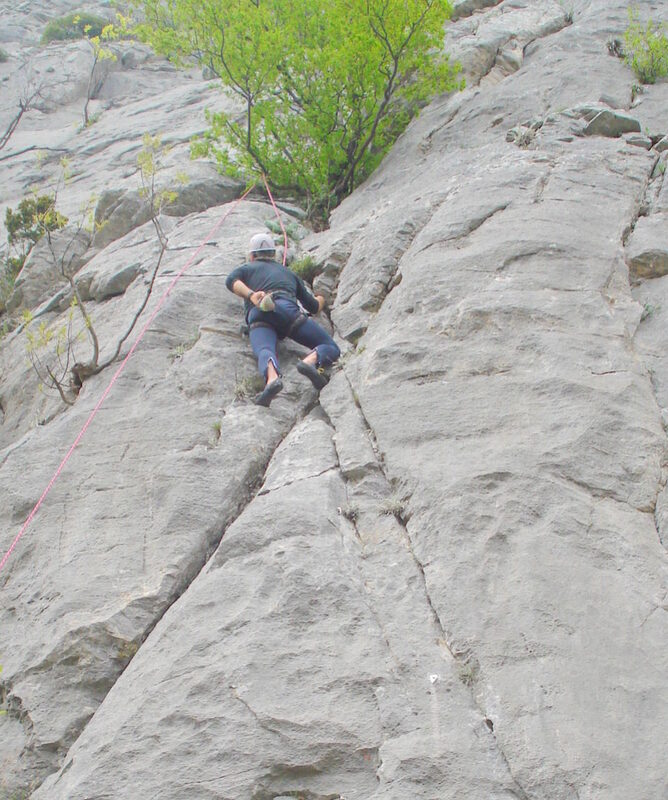 For the site’s climbing guide, please look here. All about the Rock Climbing. 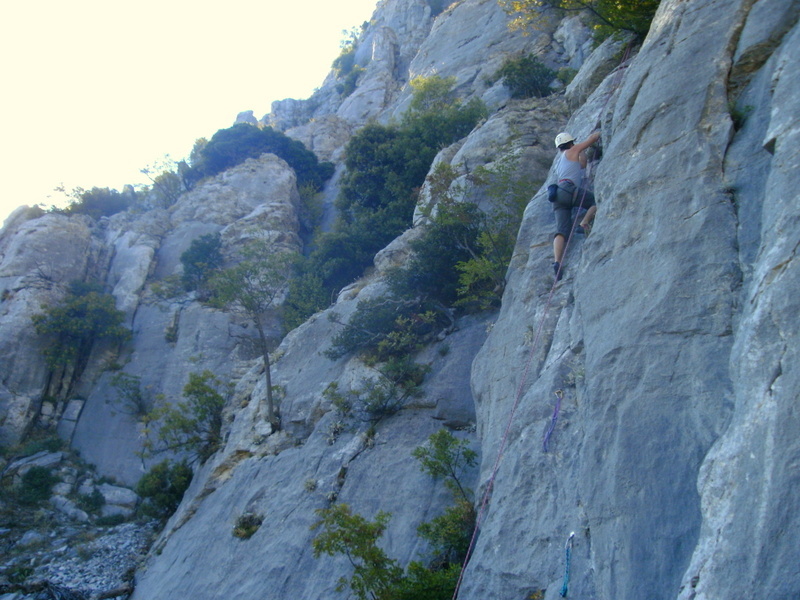 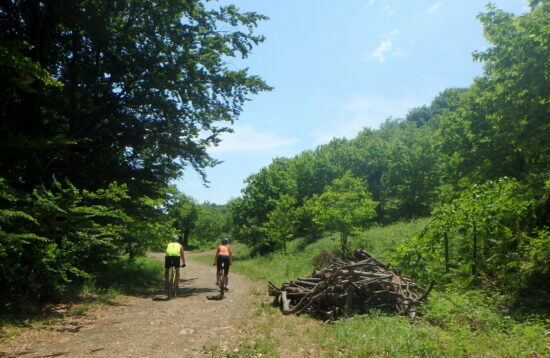 Bougazi site, Mt. 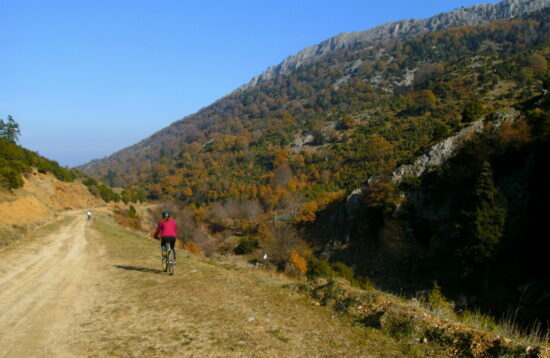 Kissavos (Ossa)..